Visions of Hell: STH stormwatch (04Jan2014) : Well marked low pressure over southwest Bay of Bengal. 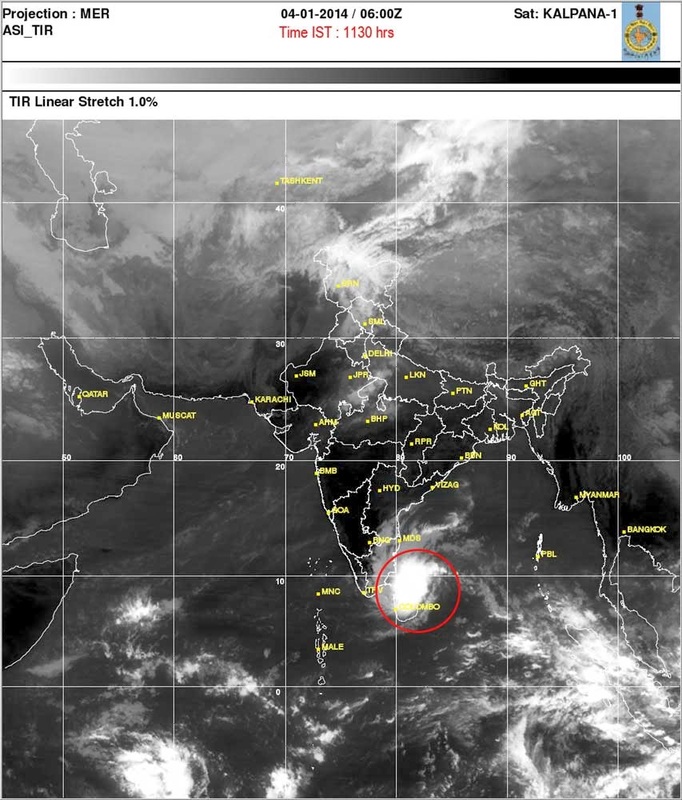 STH stormwatch (04Jan2014) : Well marked low pressure over southwest Bay of Bengal. The well marked low pressure area over southwest Bay of Bengal and neighborhood persists with associated upper air cyclonic circulation extending upto 3.1 km above mean sea level. The well marked low pressure area over southwest Bay of Bengal and neighbourhood would move westwards during next 48 hours and affect Tamilnadu and Kerala.